Whilst everyone else prepares for the big day... Hari Raya Aidilfitri Celebrations for 2007... I on the other hand was working at night... well i work at night monday - fridays. That's the big problem about having on-air LIVE shows on weeknights, i pretty much don't have a life and my free time are usually on weekends unless if i have events to emcee or press conferences to attend to. Anyways, let's keep this short and simple... here are some of the events that happened to me in the course of the month of Ramadhan... Keep on comin' over here to my blog! 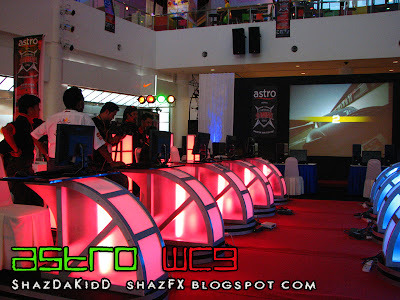 For more cool stuffs... but for now i'm pretty much tired, as i just got back from Penang! Drove down...OMG...have fun and stay safe! 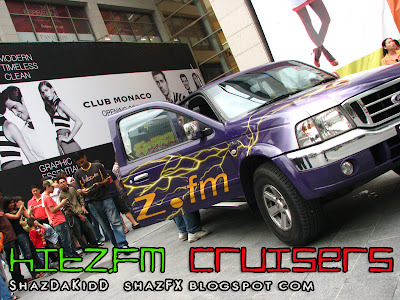 The hitz.fm Cruisers were here in front of the main entrance of Pavilion. 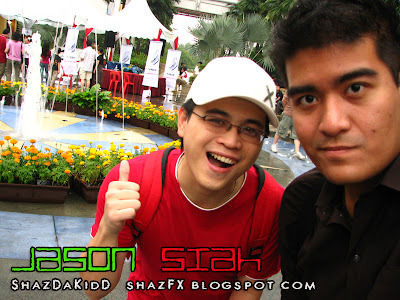 I was there with the guys and we met up with our client from Parkson! And gave away Parkson vouchers!!! Free stuffs to be given away... this is crazeee!!! lots n lots of people!!! Karen Kong, a local malaysian artist...singer / stopped by the studio this night, she was actually on air on MyFM - which is the studio opposite ours...!!! Met up with Jason Siah... at the gym! this was coincidental... so as he was on the way out, so we went to take a photo! One of those really late night suppers... this was probably at 3am in the morning!!! 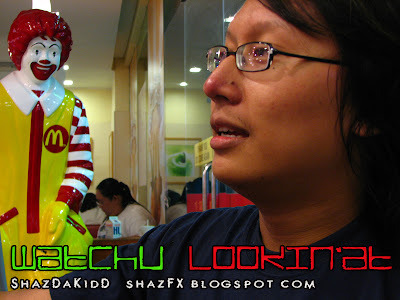 Asyraf Lee is being stalked by Ronald McDonald!!! 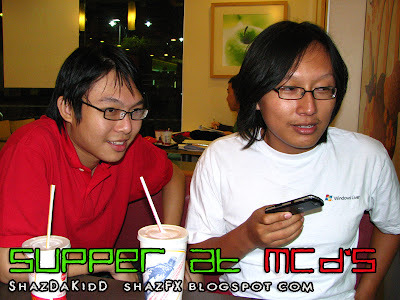 Mwahhah.. kesian this fella..
Another night... we went for supper at McD's! this time Steph was around with us!!! 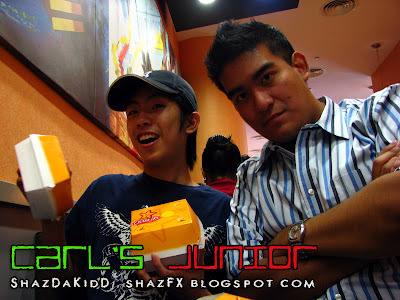 Met up with XJ and KJ, they had lunch at Carl's Junior!!! But sadly i was fasting so cannot eat!!! 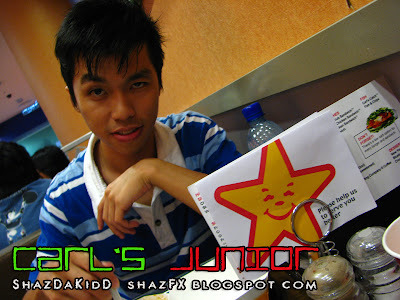 KJ simply loves the Beef Chili Cheese Fries @ Carl's Jr. 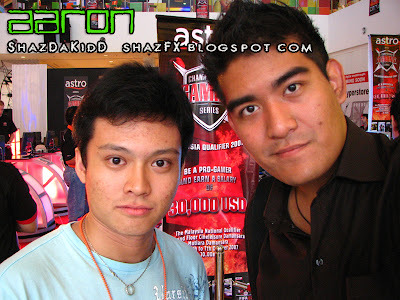 I was at the Astro Cyber Games that happened few weeks back here at the Curve, Aaron saw me there and we stopped for a chat for a while! The coms here are AWESOME! Seriously, i wouldn't mind stealing one and runnn!! !